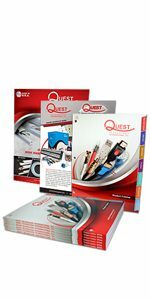 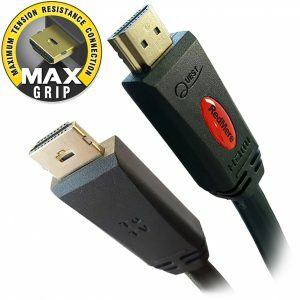 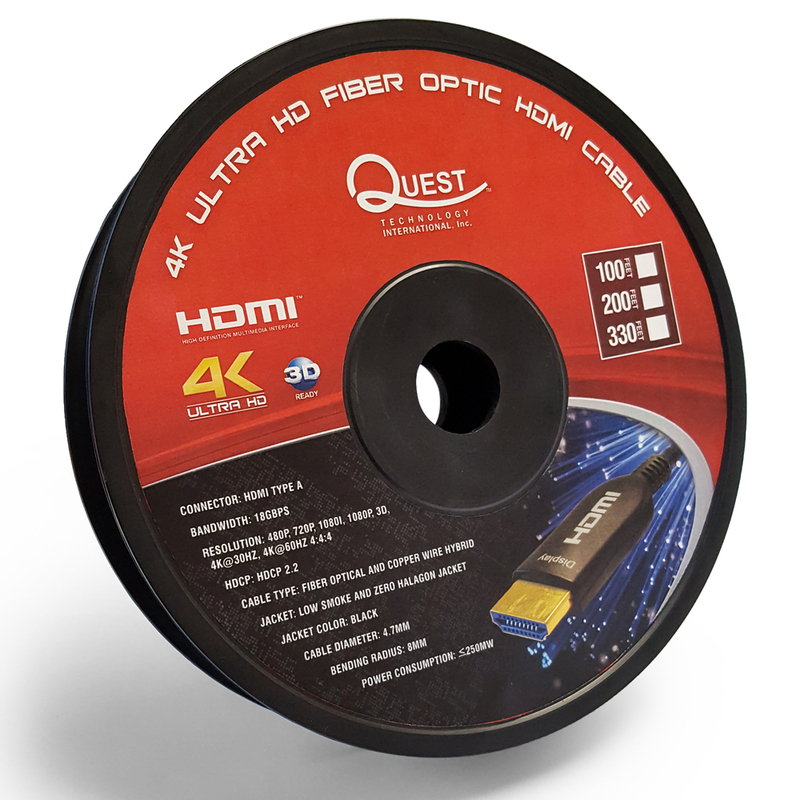 Quest offers 4K Ultra High Definition Fiber Optic HDMI Cables that are perfect for long distance installations. 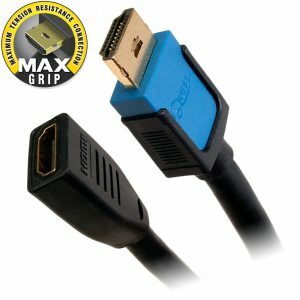 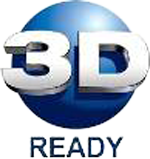 Maintain high definition quality over extended lengths without the need for an HDMI Repeater. 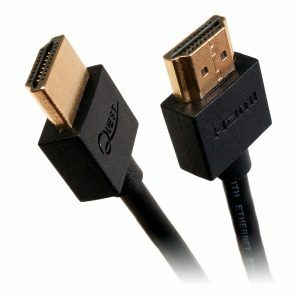 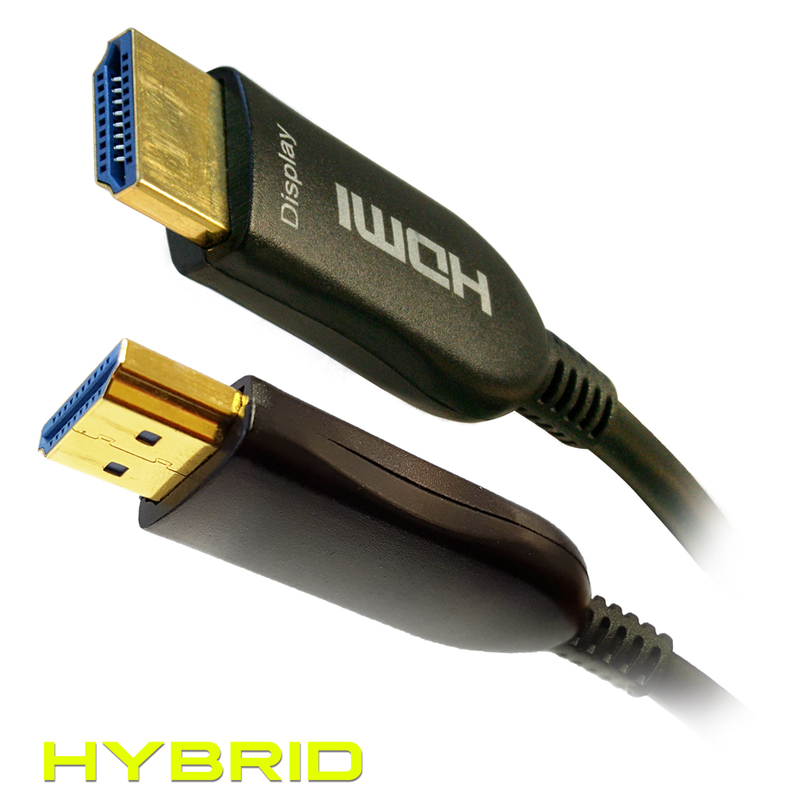 These fiber optic and copper wire hybrid HDMI cables have a bandwidth up to 18 Gbps, and are 3D ready. 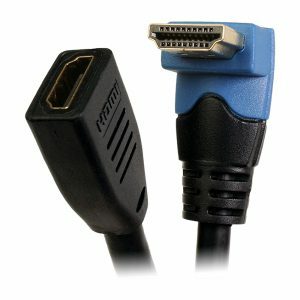 Cables are available between 50 feet to 330 feet long.